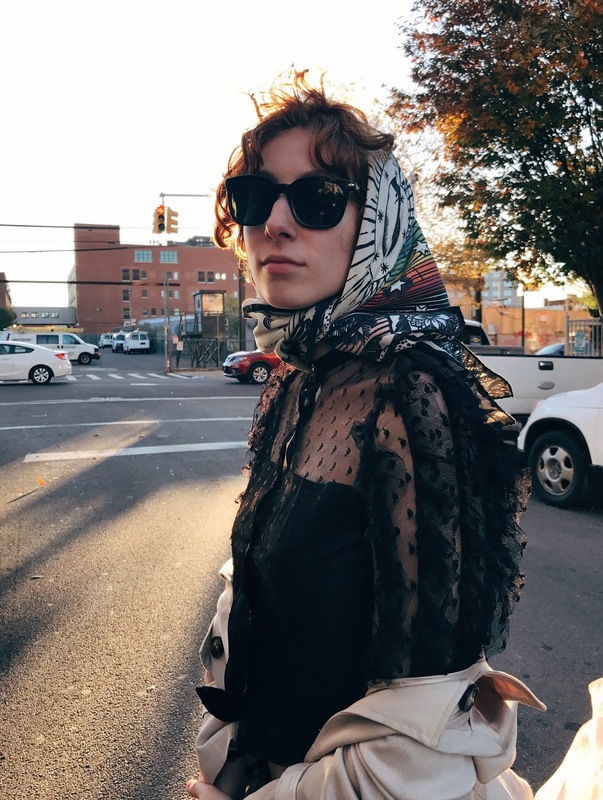 Adore this silk scarf, which I snagged from the Apropo Studio sample sale. 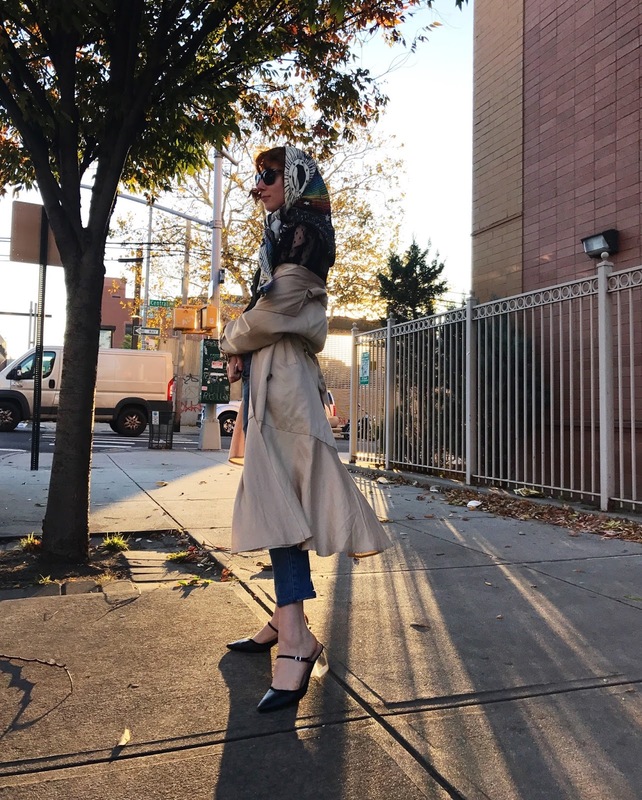 My friend and Neighbor Sam, who shot these snaps, said silk scarves tied around the head babushka-style reminded him of spies- so of course I had to try it with the trench and retro sunglasses. 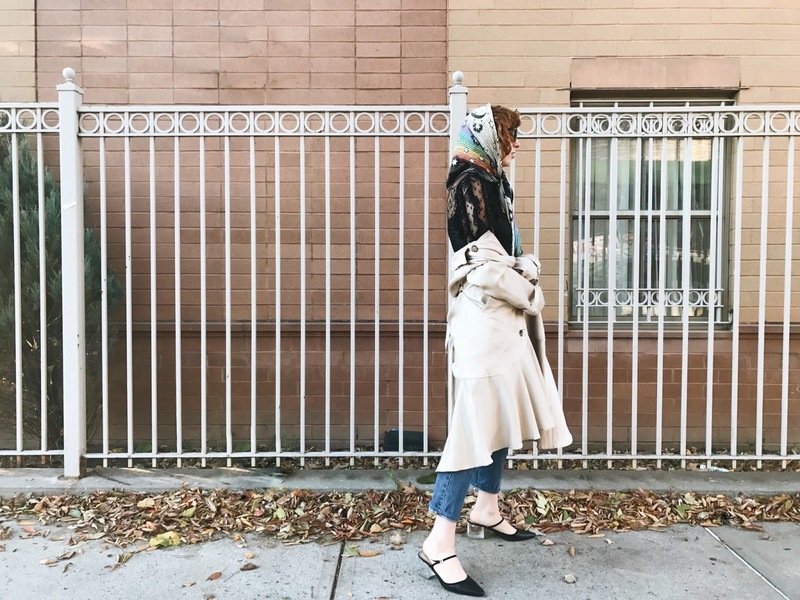 Best look for Fall, if you ask me.